Talk about anything relating to SS spoilers. Theories, speculation, reactions, etc. I have some thoughts about Demise to discuss. As we are aware, Demise is clearly Ganon. (A little stream humour, if you would.) Demise curses the Hero and the Goddess incarnations (Link and Zelda) with his own promise to rise again in a different form that will haunt them until the end of time. Clearly, given physical attributes and helpful bold-face, we know he is speaking of the one and only Ganondorf. It was a prevalent theory that Ganondorf could also bear incarnations in the same way Link and Zelda could, from speculation thanks to deaths of the 'original Ganondorf (OoT), in both timelines, to the existence of a Ganon/dorf being born at a completely different time (Four Swords Adventures). Now that Nintendo has clearly confirmed this (mind, they had already done so in a removed portion of speech at Twilight Princess's finale), it would be silly NOT to accept the fact that Ganondorf can just as easily have very uncanny descendants. Ocarina of Time Ganondorf: Currently the first known incarnation, this Ganondorf is responsible for much pain in misery in both Adult and Child Timelines. Death B: In the Child Timeline, ole Ganny gets persecuted by the Ancient Sages (as Impa and the like never needed to be awakened), and is abruptly sent to the Twilight Realm. Twilight Princess obviously happens, and the game ends with Link impaling the poor guy with the Blade of Evil's Bane. He again, clearly expresses death. The Triforce of Power, which protected him from the Sages, leaves him, his eyes glass over, and nothing more is heard of him suddenly springing back to life. Dead Dead Dead. Thanks to reincarnations, we can clearly list out at least one or two more Ganondorfs. Four Swords Adventures Ganondorf: We are aware that this Ganondorf is different from the others for many reasons. This Ganondorf was born relatively prior to the game, with no consequences as being 'that other guy who *Navi*ed stuff up the last time for everyone'. Lusting for power, he breaks into a Sacred Pyramid and steals the treasure there, the Trident of Power. With this in hand (and the Triforce... but we'll discuss this some other time - See Dark World only existed thanks to Ganon's wish in ALTTP for 200 points, and said Ganon has a Trident of Power and the broken pieces of the Four Sword FSA Ganon was trapped in...) he wrecks havoc in Hyrule. Death 2 - In A Link to the Past, this Ganon is believed (and seemingly canonically supported) to be the same as the one appearing in FSA. The Triforce changes hands only when it's bearer is destroyed (though this is fuzzy), which Link accomplishes with gusto. The Triforce recognizes its new 'Master', and explains how Ganon's Dark World will soon disappear thanks to his efforts. The Legend of Zelda Ganon: Although I do not like to think of LoZ/AoL being post ALTTP, we'll go with it. Since Ganon from FSA/ALTTP is out of the picture, this new Ganny must be another reincarnation. In a nutshell, he makes bad stuff happen. Oracle of Ages/Seasons Ganon - I don't really know what to say here... I'm not really on board that these games are canon, and explaining this Ganon is difficult. He resembles the one found in FSA/ALTTP/LoZ (official art had LoZ Ganon with a Trident), and is simply just resurrected. With some hints at being pre-LA, we could argue this is FSA Ganon we're dealing with, as this would be pre-LoZ/AoL at the same time. Twinrova can easily exist, as the Child Timeline does not have the witches skewered in Ocarina of Time, and we know the witches can live quite a looooooong time. 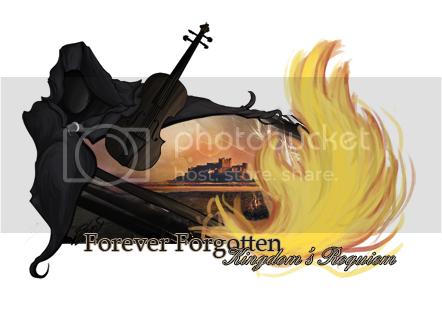 Malladus: I am not on board with this idea, but it came to me thanks to this pure recognition that Demise reincarnates. Malladus bears a striking resemblance to Ganon, and you can argue either way if this is coincidental. I think it is, however, the point stands. Ganondorf in the Adult Timeline is dead, and it is inevitable that a new incarnation takes the stand. Who is to say Demise does not don a new persona now that this is a different Hyrule? Smack anyone who thinks Vaati is also a version of Demise... FSA makes them dead wrong. Anyway, those are my ramblings currently. THEORY??!>!>!>!>! !1111: Thanks to Skyward Sword possibly causing more timeline troubles, what if the Ghirahim from the past (as the present/current is the one past Demise uses) pursued the case of reviving his Master, and donned the form of the Trident of Power?!?!?! Whoo! Speaking of "different forms", Fi says that Demise looks different to all who lay eyes on him. Defeating Demise is easy if you know timed hits with your shield, specifically the unbreakable Hylian one for good measure. Wave the nunchuk when he swings that sword. I have speculations on a good deal of things, but typing on the Wii for long is a pain. The Ancient Robots are the creators of the Beamos and the Armos Statues. This is proven as these 'creatures' have been created to guard their Mining Facility, and are only ever found in that ancient past (including Sandship and whatnot). It's always been obvious that these things are creation rather than natural. 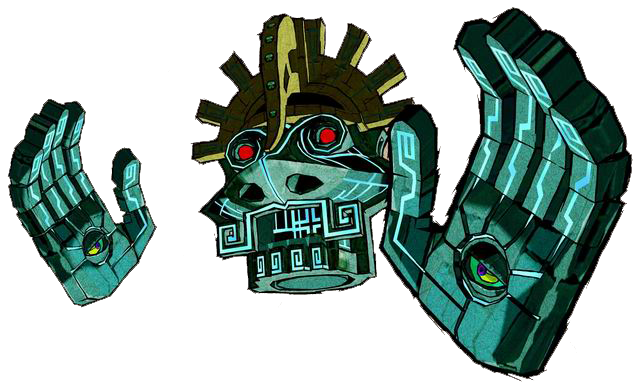 From this point forward we now realize a huge hand these Ancient Robots have had in our Zelda games: There were Armos in LoZ, Beamos first appeared in ALTTP. What does this have to do with the Wind Waker? 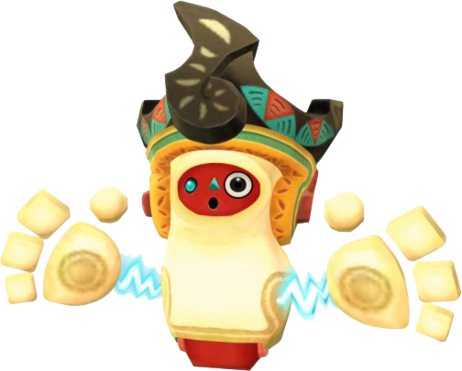 Beamos and Armos are the main defense mechanism of the Tower of the Gods, and the Tower itself shows a somewhat advanced design compared to the rest of the Great Sea. So it seems the Ancient Robots were tasked in defending the Tower of the Gods, or that the Gods simply capitalized on those creations. It's quite clear who created Gohdan, as he is surrounded by a dungeon full of Beamos and Armos. The Ancient Robots show up once again thanks to their creations. It seems they were tied quite well with the Wind Tribe very long ago as the boss of Dungeon 3 is discovered after surpassing the Swamp. The Swamp is full of Armos statues you need to turn on in Minish Form. When you first free Faron, she dresses you in the tunic of the 'ancient hero'. Whether the Child Link of OoT made a name for himself, we do not know, but it is clear nothing catastrophic occurred between OoT or TP other than Ganondorf being sealed away after a brief confrontation. So, this Hero spoken of by Faron is either one from SS or some unspoken one between SS and OoT -> though nothing really suggests there has been a game between them, both through the game releases and in the game canon. Either way: Faron is clearly invested in the Hero of Legend, and from SS it is clear Faron personally knew a Hero from a long time ago: before Ocarina of Time. In the Goron Mines you acquire a bow, called the Hero's Bow and it is a prized possession of the Goron Tribe. The Bow is almost the exact same design as the one from SS (a long bow). But why would the Gorons have it? See: Gorko the archaeologist. You become 'buds' with Gorko throughout SS, helping him understand the concept of Skyloft being a real place. Gorko preferred studying the Sealed Grounds, which is where Link and Zelda decide to stay first on the surface at the endgame. This Link could have easily gifted the bow to Gorko: albeit, it seems strange that it is absent in Ocarina of Time. Also make a note that some of the only places you find Beamos in Ocarina of Time are guarding Dodongo's Cavern and many of the desert locations (Spirit Temple etc.) This is also true for Armos statues. Could it be Gorko learned of these contraptions and passed that knowledge through the Goron Tribe? Those remaining in the desert are easily explained thanks to that being their location of creation. Perhaps Gorko is responsible for a lot of the Gorons's later success? Note: The Great Bridge of Hylia seems to be adorned with multiple bird-like symbols. Falbi and Fyber (or whatever the other dude is): Both are clownish individuals who run colourful contests in Lake Hylia. They have a game where you need to land on a specific space. They possess a cannon where most other individuals do not. They deal with birds in their games. In SS Fun Fun Island floats above Lanayru Province: the same location Falbi runs his game. Dodoh (a bird pun of course) - loses his fun wheel in Lanayru Province. He has a colour specific game and has cannon technology. It seems obvious that if Dodoh or his descendants would go to the surface, it would be to the Lanayru Province, right? Kakariko Village: Despite the fact Eldin is taking the form of an owl, many bird symbols are found throughout the village, some of which are very similar to those worn by SS characters. The Shaman also wears a leather slip on his robes that looks strangely familiar to that of Gaepora: in that it is adorned by wing symbols. Clearly, Impa (whatever Impa it may end up being) and anyone colonizing in Hyrule at the time of Kakariko's founding would be still familiar with the Goddess. Ordon Village: Everyone in the village wears a similar dress to those of the people of Skyloft. The main crop of those in Ordon? Pumpkins... just like Skyloft. So yeah, more ramblings but it is quite obvious that: Skyward was made to include these references, or the other games were made with certain aspects of Skyward in mind. The whole fact that Link leaves the Triforce up there was just dumb. I mean, come on! I'm pretty sure that the only reason Ghirahim didn't go after it was his programming. He was programmed as the sword of Demise and later given the mission to get Demise back, but, like Fi, it was (in his case) impossible for him to go beyond his programming and get the Triforce. That is the only way to make sense of the situation. Also, the ending made me cry...but if Ninty wants to be tricky, I think Fi might come back if someone were able to completely revive Demise and not just his incarnations. It's a possibility, seeing as his soul is sealed in the Master Sword but his curse (his hatred) is not. If said hatred (or some other being like Ghirahim were able to find a way to get him back, then I could see her coming awake again as a fail-safe that Hylia put in place in case it somehow did happen. Ghirahim could come back because he was teleported away by Demise right before he cursed Link and Zelda, and I don't think he's one bit dead, just lost somewhere, waiting for some innocent soul to wake him up so he could revive his Master. Yes, no direct sequel but heck yeah, they could certainly use these characters again and make it ten-thousand times worse for Link, Zelda, and the rest of Hyrule. All out war? Heck, that'd be just the beginning! Frankly, I'M surprised Ghirahim didn't notice the second gate sooner! He WAS looking pretty hard for it, after all. Unless it was in a SEALED Temple for a reason. If so than IGNORE MEH. Hahahahahah. I was dumb lazy and didn't do the Boss Rush for the Hylian Shield. I went into the Demise Battle with the Best Iron Shield, a fairy, one serving of a Red Potion++, and one serving of a Revitalizing Potion++. Demise killed me a NUMBER of times before I really got his pattern down to the wire, to the point when I actually DID manage to beat him, I didn't use ANY potions at all. YEAH!! So satisfying. Also, I love how Demise goes out with saying "I'LL BE BACK FOREVER AND EVER AHAHAHAHAHA." It's very poignant, to be aware of that permanence, a wheel of destiny always spinning, and at the same time it gives me hope. That even if Miyamoto is stepping back from the Zelda series, the legacy will continue to live on.